A new study involving the emerging research on lifestyle’s role in breast cancer survivorship suggests that obesity — both before and after a breast cancer diagnosis — is associated with earlier death from cancer or other causes, compared to women at a healthy weight. The paper was published yesterday in the Annals of Oncology. 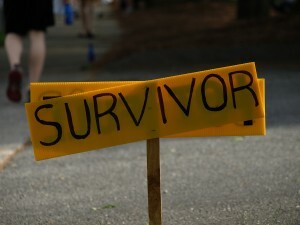 It adds to a complex and relatively new area of research: what survivors can do to lengthen life and stay healthy. In a major report on breast cancer survivorship due this Fall, World Cancer Research Fund International’s Continuous Update Project (CUP) expert panel will consider this latest paper as it works to shape official recommendations for cancer survivors. AICR is the US member of World Cancer Research Fund International. The Annals of Oncology paper was written by a team of scientists involved in the CUP, including Anne McTiernan, MD, PhD, Director of the Prevention Center at the Fred Hutchinson Cancer Research Center. The paper found that “increased body size is significantly related to survival after a diagnosis of breast cancer…” said Dr. McTiernan. But the findings are not proof, she says, more research is needed. “With regard to purposefully losing weight—we really do need randomized clinical trials before we can definitively say what effect that will have on survival,” says McTiernan, referring to a rigorous method of study considered among the highest levels of proof. The new paper analyzed the 82 studies that had investigated survival in women with breast cancer and BMI, a measure of body fatness. The studies included approximately 213,000 breast cancer survivors, of which 41,477 of the women died. Sllightly over half died from breast cancer. The analysis found that women who are obese and develop breast cancer are 41 percent more likely to die earlier than women who are in the normal weight range before diagnosis. Mortality from breast cancer was 35 percent higher for obese women. The increased risk of earlier death was seen for both pre- and post-menopausal cancers. Being overweight also linked to a modest increased risk of an earlier death. Women who were obese 12 months after diagnosis also had an increased risk of death compared to those at a normal weight. As the authors of the new paper conclude, these findings are limited by the challenges and limitations of the individual studies. For example, most studies did not adjust for other conditions [comorbidities] and assess intentional weight loss. Another possible limitation the article notes: obese women commonly under-dose their chemotherapy, which may contribute to their increased mortality. For now, says McTiernan: “I would suggest that [most survivors] try not to gain weight through their treatments, and try to be as physically active as they can tolerate.